It might be confusing to see Nairo Quintana riding until his lungs burn to take the overall race lead one day before seemingly gifting it away the next. Spaniard David de la Cruz won stage nine from the break and finished far enough ahead that he also slipped into the leader’s jersey. The Colombian’s apparent apathy basically boils down to ‘the bigger picture’. De la Cruz had lost more than a couple of minutes to his benefactor prior to this stage win and it seems fair to assume that further losses will follow. Knowledge of the race route was also a contributory factor in the main contenders riding what was technically a summit finish in a state of ambivalence. Yes, it was uphill; yes, time could be taken – but it made more sense to save strength for this. We had five fairly steady kilometres of climbing to finish stage nine. 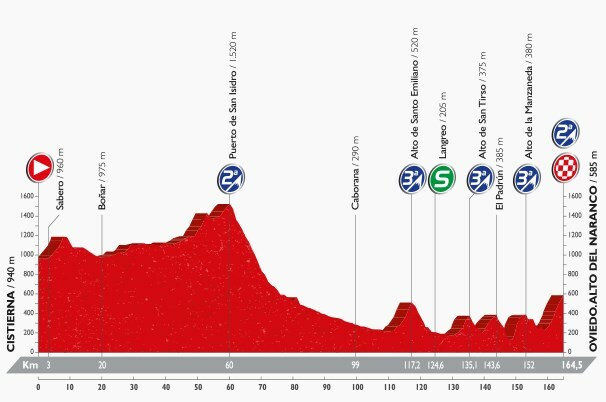 Stage ten has the Lagos de Covadonga – 12 highly unsteady kilometres. It averages out at 12.2km at 7.2% but there are two bits of descending in there to bring that average down. This will give us the clearest picture yet of who might win this race. Today’s stage term is ‘moraine’ – an accumulation of materials deposited by glacial ice and then abandoned when the ice melts.